PHILADELPHIA, PA, October 27, 2017 – State Sen. Christine M. Tartaglione is a firm believer in preventative medicine. On Thursday morning, she let her arm do her talking on the subject. 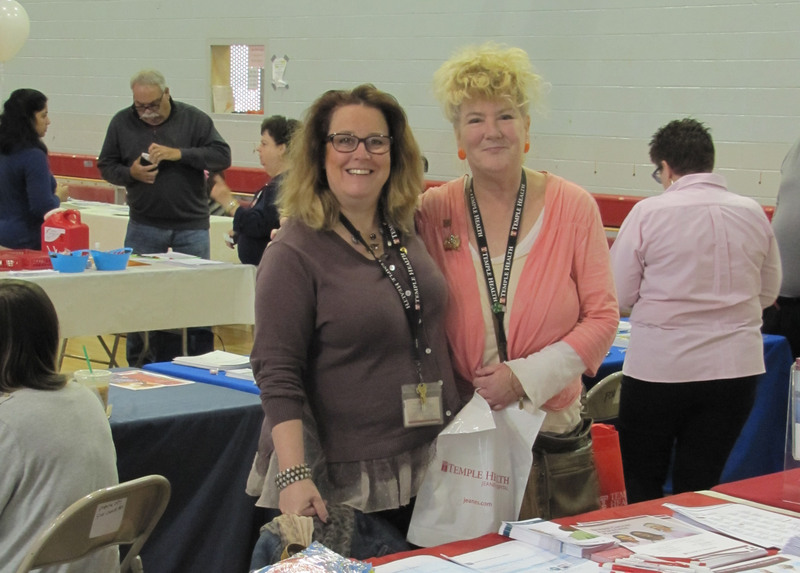 Sen. Tartaglione chose her own Senior Expo at Fox Chase Recreation Center to receive her annual flu shot courtesy of Rite Aid. 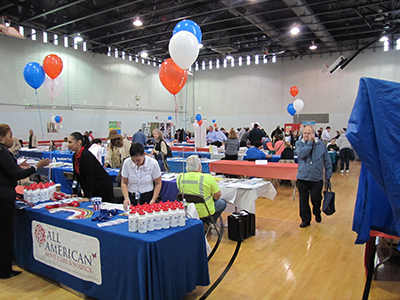 The Pennsylvania-headquartered pharmacy chain was among 60 public and private agencies and service providers who participated in the senator’s third Senior Expo of the year and her first ever at the Northeast Philadelphia venue. Hundreds of attendees benefitted from presenters representing a variety of sectors including government, healthcare, banking and investment, housing and law enforcement, to name a few. Representatives from the state’s PACE program were there helping low income folks apply for prescription coverage. An investigator from Attorney General Josh Shapiro’s office instructed visitors how to protect themselves from consumer fraud and scams. Temple University Health System and its neighborhood affiliate, Jeanes Hospital, offered a multitude of information about preventative, acute and emergency care. For Senator Tartaglione, the event was more than just business however. She reveled in renewing many longtime personal acquaintances who reside in district. Handshakes and hugs were the order of the day.